With the beta only a few months away, Bungie has revealed what beta testers can look forward to. The Halo: Reach beta test, open to anyone who buys a copy of Halo 3: ODST before the May 3rd start date, will be have a little bit of nearly everything the game has to offer, what Bungie community lead Brian Jarrard called: "representative sampling". "It basically will represent a sub-section of almost every main portion of the game. For example, we'll have a couple of the new armor abilities that we've been talking about which are sort of the new version of equipment which have pretty immense implications for gameplay." he said, referring to the new armor abilities that are similar to the perks in Modern Warfare 2's multiplayer portion. "So some of those will be in there, some of the weapons will be in there, we'll have a subset of maps, we'll have a subset of game-types, some of which are returning favorites, some are brand new that people don't even know about yet," he continued, before adding, "Of course we're going to hold back some stuff as we've got a long way to go until the fall and we want people to have some stuff to look forward to." Reach will be the last Halo game that Bungie makes, and it seems like it really wants to go out with a bang. 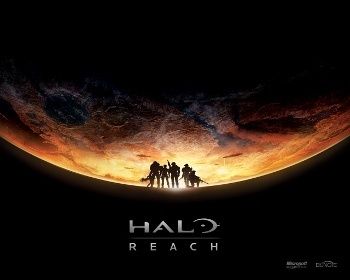 Halo: Reach is scheduled for release this Fall.